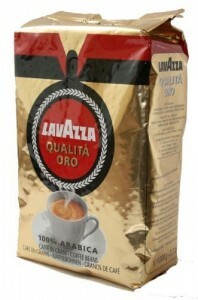 One of my favourite coffee’s is Lavazza Qualita Oro Coffee Beans. It is a medium roast and great for a regular cup of premium coffee. If you are into strong espresso then this is not a suitable bean, but if you enjoy a good cup o f coffee that has a sophisticated taste and aroma of pure Arabica beans then this is for you.